Once upon a time, learning the ropes at poker required a lot of time in poker rooms, and often some very hard lessons – i.e. spewing your entire bankroll by playing sub-optimum poker. Then Doyle Brunson came along with his Super/System and everything changed. 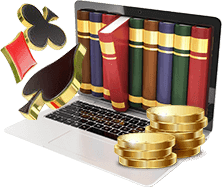 Today, Super/System is regarded as something of a curio from a bygone era, and there are countless strategy books on the market covering everything from cash games, Sit ‘n' Gos, tells, online satellites and managing tilt. If you thought the online strategy sites put paid to conventional strategy works, think again. There are more e-books on poker being self-published than ever before, and from knowledgeable, well-respected pros who've been there, done it and got the seven-figure bankroll to prove it. Fifteen years ago – hell, 10 years ago – you could quite confidently take to land-based or online tables and make a decent profit just by playing with a few solid moves. In 2019, however, there are solid players wherever you turn, and even the best pros struggle to keep up. To keep one step ahead of the pack you should invest in one of our best poker books below. Even if you can't digest everything in one go (and we suggest dipping into the best ones a chapter at a time) you will come out the other side a more rounded player as a result. And don't forget to email us your latest results from that MTT you crushed! 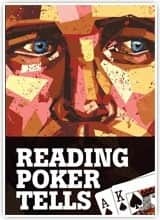 Read on to find the best poker books of 2019. American poker pro Owen Gaines didn't play a professionally until he was 22, but has now racked up over 10 million hands online and makes a very healthy living from the game. Gaines puts much of his success down to prolific reading on the subject and the early books he devoured inspired him to get writing himself. 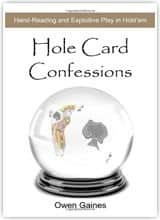 ‘Hole Card Confessions' is one of four published books by Gaines on the subject of poker, and includes over 100 answers to key questions confronting poker players at every level. 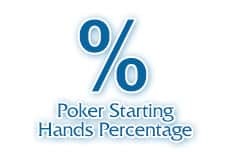 Gaines believe the huge number of hands he's played gives him the sample size to address poker tactics with a level of accuracy you won't find anywhere else. 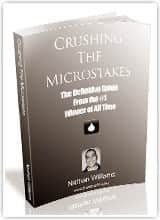 Written by leading dragthebar.com tutor, Nathan "BlackRain79" Williams, Crushing the Microstakes is essential reading for anyone looking not to just learn the online cash game basics, but continue to grow and improve as a player before moving up the levels. 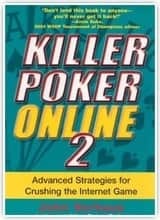 If you're a regular at the lower stakes tables online and keen on learning a solid, TAG strategy, this book is for you. Crushing the Microstakes takes in full-ring and six-max cash games at most lower limits with an emphasis on learning the fundamentals. Set out clearly with easy-to-read chapters on subjects such as set mining and handling the crazies, it also offers advice to online players on setting up a Heads-up Display. 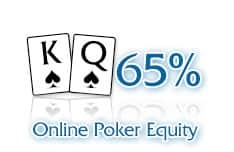 Are you a total newcomer coming into online cash games and don't know where to start? If so, Sam O'Connor's book could be for you. 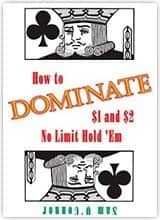 Sticking firmly to the stakes at which most online novices begin their poker careers, How to Dominate... is packed with basic strategies to help you crush the low-mid limits on the web. As with "BlackRain79"'s book, the chapters are easy to read and provide the ideal building blocks for anyone wanting to move up the levels fast. 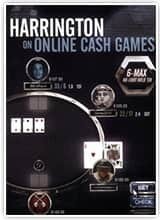 Having been the leading light in the world of tournament Hold'em strategy with his ‘Harrington on Hold'em' series of books, ‘Action Dan' turned his attention to cash games with two volumes (inspiringly titled Harrington on Cash Games Volume 1 & 2) but arguably his book on online cash games is the one you'll need for today's fast-paced Internet poker. Covering the basic concepts of online poker before going on to discussing the nuances of the online game, Harrington then shows you how to make the best use of note-taking and a Heads-Up Display (HUD) before moving on to mastering the micro-stakes and small-stakes games, and understanding the difference between the two disciplines. 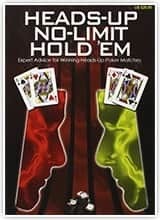 A book geared toward the mid to higher levels of the cash-game spectrum, Professional No Limit Hold'em was written by the experienced poker trio of Flynn, Metha and Miller, who - when not sounding like a law firm – busy themselves providing an in-depth look at the essential cash game skills needed for the improving and advanced cash game player. Learn bet sizing, manipulating your foes, master the all-in move and get a handle on advanced topics like The Commitment Threshold and The REM Process. 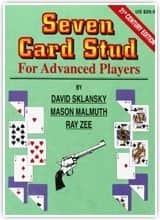 A must for any cash game player serious about seriously crushing the ring games. 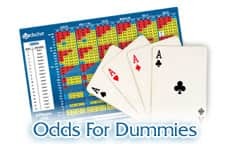 We couldn't really do an ultimate poker strategy list and NOT include the book that started it all – Texas Dolly's Super/System. Super/System stirred up something of a hornet's nest when it first appeared as it was seen by pros to divulge too many secrets. 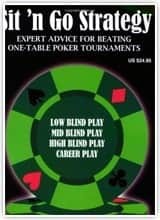 However, if some of the advice contained within it may seem a little dated or irrelevant in 2014, you can't argue with the pedigree on show sharing their tips on Hold'em, Omaha and Stud: Bobby Baldwin, Chip Reese, David Sklansky and Mike Caro all contributed chapters. 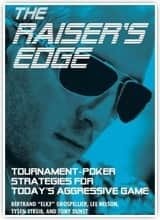 Co-written by World Poker Tour analyst and accomplished pro, Tony Dunst, along with someone who knows a thing or two about aggressive poker play – French pro, Bertrand "ElkY" Grospellier – The Raiser's Edge is one of the best books around for showing you how to apply – and play against – the LAG style employed by so many of today's nutjobs. 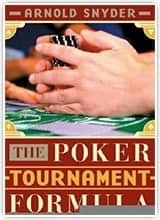 Addressing all stages of a tournament, the book covers many of the successful techniques employed by the world's most aggressive – and successful – players, including 4 and 5-betting, floats and squeezes, min-raising and using metagame in your tournament game. If you thought loose-aggressive play was about mindless chip throwing, think again. Jonathan Little began his poker career at the tender age of 18, and it's certainly been a fruitful career since, taking in multiple WSOP and EPT cashes, a WPT Player of the Year gong, and almost $6 million in tournament winnings. It's probably fair to say that Little is the perfect person to impart some of his knowledge in book form. Secrets... actually forms three volumes, all bulging with top information for readers of all standards. 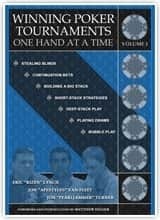 Volume 1 tackles the fundamentals of play and how to handle varying stack sizes, teaching you about making profits from tournaments (and why they're better than playing cash games long-term), alternating between small and long-ball games, understanding stack sizes, and going for the win. Volume 2, meanwhile, goes into a little more detail and examines each stage of a tournament in detail, from the early blinds to middle levels and on to bursting the bubble and crushing the final table. And if that's not enough, there are also tips on tourney etiquette and spotting tells. Finally, Volume 3: The Complete Workout works as a Q&A where you get to test your knowledge on a range of tournament-related questions. Individual hands are dissected, chewed up and spat out to see what the best play is. For an all-round look at optimum tournament play, Little's 3-volume series is hard to beat. The other great ‘law firm' of poker strategy – Turner, Lynch & Van Fleet – have over $7 mil in winnings between them, so it's a fair guess they are perfectly placed to show you how to win a poker tournament...one hand at a time. Taking a similar tack to Gus Hansen's Every Hand Revealed, Winning Poker... explores the complex decision-making processes seen in a typical No Limit Hold'em tourney by deconstructing real-life hands. Simple, straightforward, and guaranteed to get you crushing tourneys in no time. OK, we've included Super/System so we had to include the classic tomes from former WSOP winner, Dan Harrington. 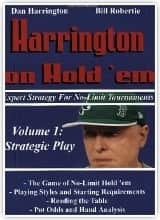 HoH volume 1 was perhaps the first real book to discuss successful No Limit Hold'em tourney strategy in any detail, and although some of its concepts may be out-dated to today's players, there is still plenty of useful info for beginners. Each section of his trilogy is backed up by a quiz where you can put some of the lessons into practice. 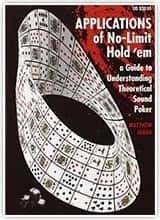 One of the leading poker trainers online, (he runs the staking/training site, Team Moshman) the theoretical math grad's book on online SNGs is widely regarded as the Holy Grail of Sit ‘n' Go books. Concentrating solely on the single-table format, Moshman breaks down typical SNG play and teaches you to play ultra-tight when the blinds are small to make it to the high blinds, and then loosen up later on to exploit bubble play with ruthless aggression. For anyone serious about making money at online Sit ‘n' Gos, get hold of this book right now. 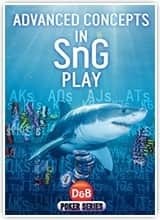 Advanced Concepts in SNG Play, released later in 2014, is the combined efforts of professional online players, Johannes Meyer zu Wendischhoff, Julian ‘JayGatsby' Thomas and Robert 'Bobbs' Seidl, who boast tens of thousands of online Sit ‘n' Gos between them. 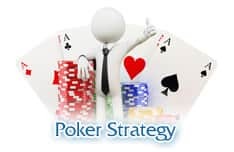 In fact, both Julian and Robert are respected SNG trainers on leading strategy site, pokerstrategy.com. The book looks to tackling the major problem online players face in today's game: that everyone is just so much better than a few years ago. Therefore, the book looks to improving your game to an advanced level in order to stay ahead of the chasing pack. Included are top tips on using programs like SitNGo Wizard, spotting your own weaknesses, and preying on other players' mistakes. Authors Zee, Sklansky and Malmuth come with impressive pedigree in the gambling world. Zee is a pro poker player of note and has a deep understanding when it comes to seven-card stud. Sklansky is a prolific author in the gambling genre and has made big money playing the tables over the years. He has regularly worked as an expert advising both land-based and online casinos. Malmuth is one of the most-read writers on poker and has built up big sales with his published books on the subject. Together they combine here for a book that builds on seven-card card fundamentals with expert tips for the experienced, advanced player. Ideas touched on here include ante stealing, scare card tactics and how to approach three-flushes. Cogurt's niche is in writing accessible poker books that serve the beginner and intermediate market with easy to understand theories to put into practise. 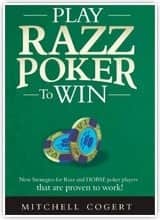 In this book, the author focuses exclusively on razz poker – perhaps the easiest game to win at - and outlines the fundamental principles behind playing a smart game. Areas covered include starting hand point systems, how to play 5th street and what a good call should be on 7th street. Cogurt demonstrates his approach in action by showing over 100 illustrated hands. Written in partnership with poker writer Barry Carter, Tendler gets you to lie on the couch as he dissects the many foibles, anxieties and tilt issues that afflict every poker player once or fifty times in a while. In volume 1 Tendler provides step-by-step instructions to fix tilt problems, deal with bad beats and get motivated to tackle the daily grind. 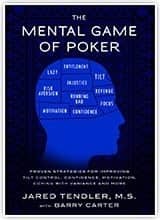 Volume 2, meanwhile, moves into exploring why so many players struggle to keep a mental grip on their poker game for long periods. As useful to your life as it is your poker, these are must-reads for any player beginning to wonder whether it's all worth it. John Vorhaus is the author of 10 poker books and counting, and his 2003 publication Killer Poker Online was a breakthrough hit that played into the huge growth of the Internet game. This second volume takes thing further and adds new depth to Vorhaus' theories on how to win big and avoid the common mistakes made by online poker players. You'll learn how to thrive in heads-up play, conquer sit-and-go tournaments, and study the weaknesses of other players for your own financial gain. There's a lot here to soak up, so best to take your time and take notes as you go along. 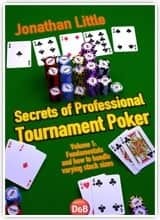 More of a lifestyle management book than a poker strategy tome, Schmidt's book shows you what you need to do to triumph as a professional player. The strategy in the book – as it is – is mostly concerned with common scenarios that occur a lot of the time in poker like being caught out of position and facing obvious c-bets, but there are also plenty of interesting anecdotes from Schmidt's previous career as a golf pro, together with some nuggets of psychological advice from his mentor, and mind coach, Jared Tendler (see Mental Game of Poker). High-stakes online pro Jay Rosenkrantz described the book as "the best book I've ever read." If that's not ringing endorsement, nothing is. 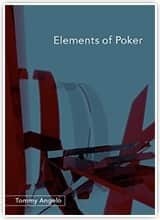 Elements of Poker takes a similar tack to Tendler in that it offers advice on handling tilt and variance but goes on to explore what's really needed to make it as a full-time pro. Also check out Angelo's collection of poker tales, A Rubber Band Story & Other Tales for more poker shaggy dog stories. Nyugen is a hugely successfully online poker player who has parlayed his experience into an equally successful career as an author of influential books on the subject. 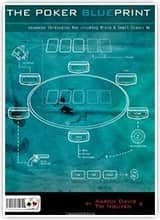 ‘The Poker Blueprint' is focused on small and micro stakes online poker, with Nyugen addressing such areas as bluffing tactics, calculating odds, coping with downswings and techniques that allow you master the virtual tables at every sitting. Perhaps the most alluring element of the book is that is reveals in detail how Tri himself became a multi-millionaire playing online poker. Follow his blueprint and who knows what's possible. 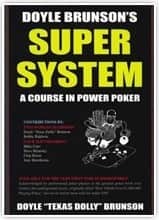 Where Super/System was the original poker strategy book which others sought to improve on, so Mike Caro's classic Book of Tells was the original book on spotting and acting on the nuances of physical tells at the table. Painstakingly dissected, the ‘Mad Genius of Poker' explores the ticks and mannerisms that many poker players display at the table – verbal and physical – and shows how you can adopt some of the same mannerisms to bluff your opponents. Snyder is a legendary name on the gambling circuit, with a place in the blackjack hall of fame secured and numerous television appearances to his name. 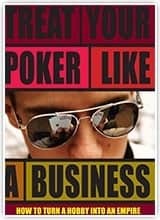 He's enjoyed many victories on the no-limit poker circuit and brings that experience to this book, which is focused on small-stakes tournaments played online. Snyder's advice is aimed to push readers towards the 300% success ratio he's achieved playing tournaments, by using specific strategy during tournament play. He touches on subjects such as hand value, when to attack and how speed of play can tip a game in your favour. 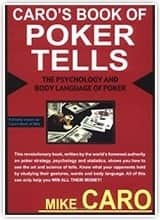 Certainly the best book on physical tells since Mike Caro’s legendary tome – at least from a poker pro (former FBI agent Joe Navarro’s Read 'Em and Reap: A Career FBI Agent's Guide to Decoding Poker Tells was superb but written by a non-poker player) Elwood offers online players making their first leap into the live poker world (and vice versa) the tools to spot tells and spot situations. Elwood describes the three major types of tells: Waiting-For-Action (things players do when it is not their turn), During-Action (how players act while betting or checking), and Post-Bet (behavior after making a bet that could be called or raised). He further divides each category into Strong and Weak, which sometimes feels redundant since weak tells are often just the inverse of strong ones. If Navarro is too general, and Caro too dated, Elwood most definitely brings spotting tells bang up to date. Jeff Hwang started playing poker for money after he graduated college and has not looked back since. He continues to hit the tables professionally, supplementing his income as a respected blogger and author. 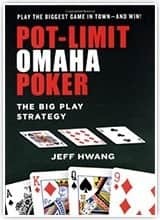 This book sees Hwang reveal what he learned from an 18-month stretch playing almost exclusively Omaha poker games. Billing the format of poker as the most compelling to play in today's casinos or online, Hwang goes deep on what makes it special and how you might go about becoming a special pot Omaha poker player yourself. The result is a must-read with much to glean for Omaha regulars and beginners alike. There are few poker players in the world with claim to match the Omaha expertise of Bill Boston, a veteran of the game who has been winning at the tables for more than a quarter of a century. In this highly informative book, Boston outlines why Omaha high-low is the way to go and breaks down – in detail – the fundamental requirements for success. He addresses such areas as hand selection, split pots, playing the preflop and how to steer clear of the most common mistakes. Boston has played hundreds of thousands of hands and knows the game inside out. Best read carefully and follow his every word of advice. 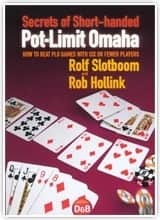 Published by respected gaming outfit, D&B, Secrets of Short-Handed Pot-Limit Omaha should be your first stop if you're serious about making money at 6-max PLO cash online. 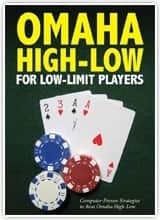 Bet sizing, forcing players off drawing hands, and sensible basics: if you're thinking of ditching the two cards of Hold'em to the four of Omaha, this is the book for you. He may be better known as a killer SNG player and coach, but the author of Sit & Go Strategy is pretty nifty at heads-up play too. Containing some innovative ideas on how to handle the difficult situations you face in a heads up confrontation (and we're talking HUSNGs here rather than reaching the heads-up of a major tournament) Moshman's thoughts on exploiting different playing styles and pot size control and manipulation were particularly useful. 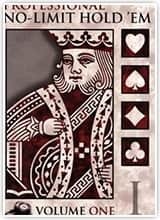 Experienced players may bemoan the lack of really advanced Game Theory in the book but for a general overview of Heads-Up play it's a good starting point.